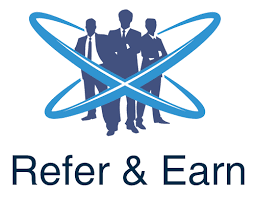 Welcome to our exciting Refer and Earn Program Launch.. We are currently working on the final details of our program and will let you know when available. Please books mark this page and come back frequently for updates. Refer and Earn is our way of rewarding you for sharing this exciting 4life Video website with others. We will provide you with a personalized link that you can share with others thru email, Social Media etc. Everytime someone clicks on your link and views this website, you will receive Reward Point towards earning Free Products (revealed to you later after we launch our program) and/or a $25 Amazon Gift Card. Our system will keep track of all of your points.. all you have to do is get your link out there. Special Bonus: You can also earn additional points if your referrals pick up their own special link and begin referring to others, thus creating a viral (no pun intended) explosion.. You could earn FREE Product within days. More Later on this later.. be sure to check back by 8/10 for new updates.